Life isn’t better under the sea. Lenny Dolan is all too familiar with this reality. A Selkie slave in the realm beneath the waves, he has no choice when charged with leading a crew ashore to capture an elusive runaway. If unsuccessful, the loved ones kept behind will pay for his failure with their lives. But when their target leads Lenny and his crew to deeper, darker secrets, the Selkies are faced with a moral dilemma. Secure their own freedom at the expense of others, or return empty-handed to face the grisly consequences? How Lenny and his crew answer the question will teach them the harshest truth of all. 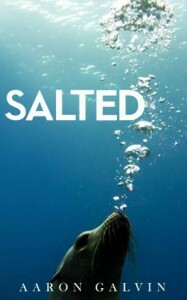 Only through the loss of innocence does one become Salted. -1- This is a very good book, and very well written. -2- There is a somewhat sad note that runs throughout the book, but it totally works with the storyline. -3- It doesn't have a particularly happy ending for much of anyone in the book, but there is a sequel coming. 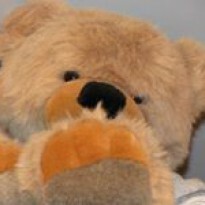 -4- The author manages a wide cast of characters very well, and it is the characters that keep you reading. -5- It's a very unique and imaginative story idea. I enjoyed it very much. Anyone can be taken - a simple truth for Salt folk, a stark reality for innocent teens Garrett Weaver and Kellen Winstel. Kidnapped by Selkie slave catchers and dragged into the realm beneath the waves, both teens must adapt to their new surroundings if they hope to see the shore again. Yet even if they escape their captors, both will need to embrace their fears. For darker things than Selkies lurk in the Salted depths and not all of them have pure intentions for the innocent ones brought down into their watery world. A famous journalism dean is found dead at the bottom of a stairwell. Accident or murder? The police suspect members of the faculty who had engaged in fierce quarrels with the dean—distinguished scholars who were known to attack the dean like brutal schoolyard bullies. When Meredith “Red” Solaris is appointed interim dean, the faculty suspects are furious. Will the beautiful red-haired professor be next? The case detective tries to protect her as he heads the investigation, but incoming threats lead him to believe Red’s the next target for death. 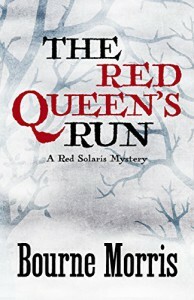 The Red Queen’s Run is the first mystery in a trilogy about campus violence by former university professor, Bourne Morris. I absolutely loved this book! It grabbed, and held, my attention from the very first page. It's an awesome murder mystery, with a bit of romance thrown in for good measure. It's obvious the author knows her setting well, and has crafted a great story. The setting, the characters, the mystery, it all comes to life wonderfully. For mystery lovers, I highly recommend this book to you. All books should be this good. And I didn't figure out who did it till the very end. The suspense was wonderful. The book earned every star and rating point that it got. The blurb says this is the first mystery in a trilogy. If it is, I would love to read the other books. Bourne Morris is an excellent writer, and she has penned a great book. Hello, and welcome to me >> Jacqueline Driggers, and my book review blog >> The Leisure Zone, here on Booklikes. I'll be sharing here about books that I've read and reviewed. Like I always say, I'm always reading something.